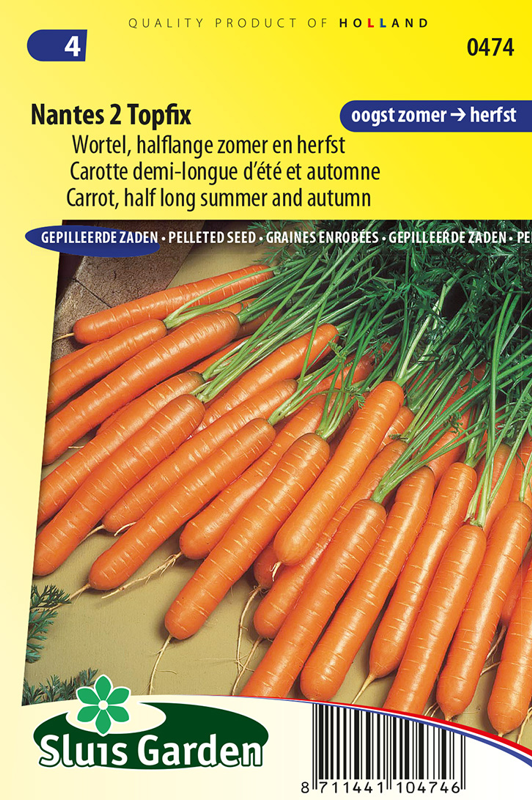 A long and firm summer carrot, which is also suitable for somewhat heavier soil. Keeps well for a reasonably long period. Produces shiny orange carrots approx. 22 cm in length. Has a pleasantly sweet taste. Sow thinly in rows. After emergence do not thin out. 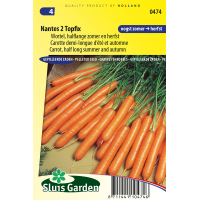 Ensure the soil is worked well deeply, so that the carrot can develop without interruption. Fertilize normally and do not use any fresh farmyard manure. If necessary cover to protect against damage from carrot fly. Planting onions or leeks between the rows helps.